The Meinl Classics Powerful Crash Cymbals has a combination of clear bright tone with a wide dynamic range. Explosive attack with plenty of volume. 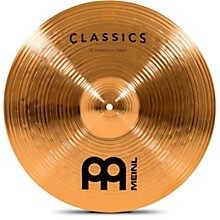 Meinl's Classics series is made in Germany using B8 bronze alloy. 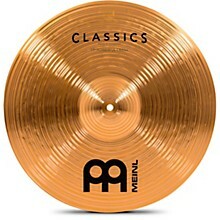 These cymbals have an explosive modern sound . . . lots of attack and a moderate decay. They are perfect for adding onto your existing setup since they blend so well with almost any other cymbal. 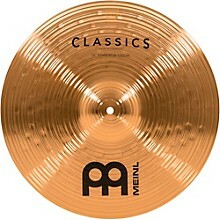 With a huge selection of sizes and styles you can find a cymbal that is just what you need without breaking the bank. Good for rock, country, pop and metal.